There is high demand for redeveloping brownfield areas to help European cities grow in a more sustainable manner. Different cities around Europe are transforming old industrial or other underused areas into new housing or commercial areas. Challenges in brownfield redevelopment are similar across borders: fragmented land ownership, large numbers of stakeholders involved, lack of common vision or conflicting development visions, the technical, geological and financial difficulties of remediating contaminated land, as well as questions about responsibility. Close cooperation and partnerships among different actors from the beginning of the redevelopment process are key to tackling these challenges. Brownfield redevelopment can be initiated by the local administration (city), a developer or a landowner. The roles of different parties in the process also vary depending on the national context. However, the role of cities as facilitators of dialogue between different actors in society and as leaders of sustainable urban development has become more and more important everywhere in Europe. Cities have a crucial role in ensuring that brownfields are developed into attractive places to live, work and do business. The revitalisation of a brownfield is a complex process. It requires both dealing with the site’s past and planning for the future of the site. Brownfields are often contaminated and also industrial or cultural history often needs to be preserved. At the same time, it is necessary to manage and plan the transformation process and to find a common long-term vision in cooperation with stakeholders in terms of how the site should be developed. A variety of stakeholders representing the public and private sectors as well as people – the components of public-private partnerships need to be involved. Organisation of these parallel processes in which many of the steps take place simultaneously requires an integrated approach, good cooperation, and communication between all actors. 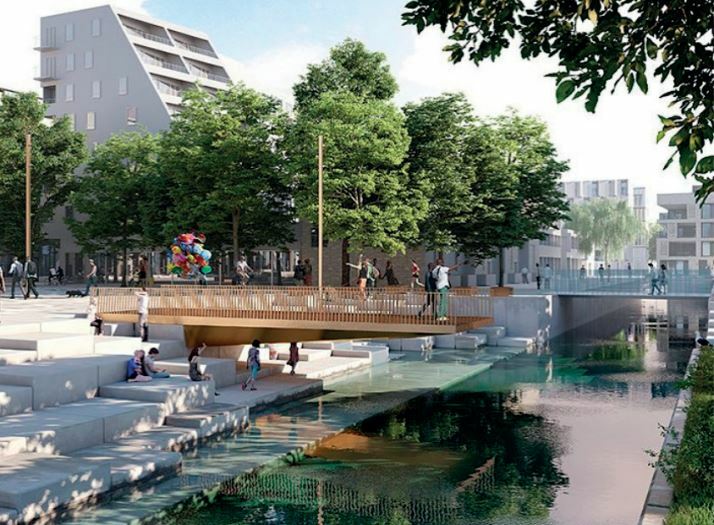 The planning of redevelopment starts from an initiative to develop the brownfield site, continues with a visioning phase and planning stage, eventually leading to the desired physical change in the urban environment. Due to the complex nature of brownfield redevelopment and the potential environmental and financial risks involved, commitment and common understanding between involved parties is necessary throughout the process. The first step in the process is to start an open dialogue with internal and external stakeholders, encouraging the participation of different actors in the planning and creating a common ground for cooperation. However, cities often lack the knowledge, skills and methods of how to facilitate this dialogue and coordinate large-scale development processes that are based on broad partnership and cooperation. This sets a challenge for city organisations. This guide has been produced to respond to this challenge and to support urban planners and other experts working in local administrations to facilitate and coordinate brownfield redevelopment processes in a structured manner, and support cooperation between the different parties that should be involved in the process. This guide focuses especially on early-stage planning activities. Featured photo courtesy of City of Norrköping (Sweden). See Baltic Urban Lab website.